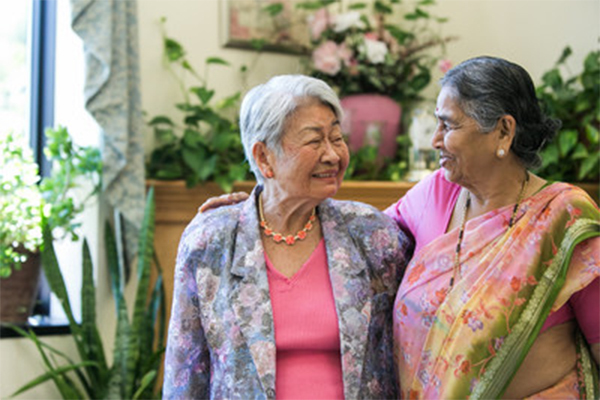 IBM and the University of California San Diego have announced a multi-year project to enhance quality of life and independence for aging populations through the new Artificial Intelligence for Healthy Living Center (AIHL), located on the campus of UC San Diego. The groundbreaking center will bring together the technology, artificial intelligence (AI) and life sciences knowledge of IBM and UC San Diego to promote critical research and applications in two thematic areas: Healthy Aging and the Human Microbiome. UC San Diego co-directors of the Artificial Intelligence for Healthy Living Center are CSE Prof. Tajana Rosing (left) and Pediatrics and CSE Prof. Rob Knight. Both are also affiliated with the Qualcomm Institute. 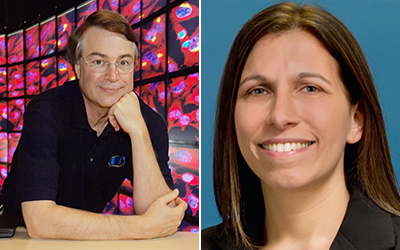 Four co-directors of the AIHL Center are drawn from both IBM Research and UC San Diego. 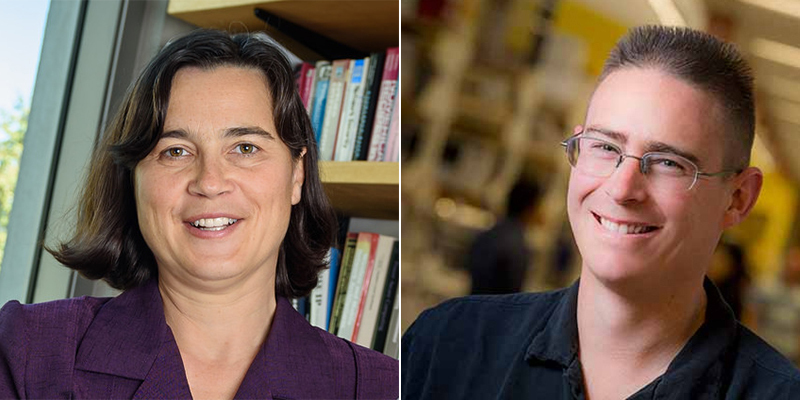 At UC San Diego, the overall center will be led by CSE professor Tajana Rosing, holder of the Fratamico Endowed Chair in the Computer Science and Engineering department, and Rob Knight, a Pediatrics and CSE faculty member and Director of the UC San Diego Center for Microbiome Innovation. IBM researchers Ruoyi Zhou and Ho-Cheol Kim will co-direct AIHL activities at the company.. The projects on Healthy Aging and the Human Microbiome will be jointly led by faculty experts in the respective fields. The leaders of the Healthy Aging project are Virginia de Sa, a professor in Cognitive Science, and CSE professor Laurel Riek. The Human Microbiome theme will be led by three UC San Diego faculty members: CSE and Pediatrics professor Rob Knight, CSE professor Larry Smarr (who also directs the Qualcomm Institute's parent institute, the California Institute for Telecommunications and Information Technology, or Calit2), as well as Sandrine Miller-Montgomery, a Jacobs School of Engineering faculty member and executive director of the Center for Microbiome Innovation. As part of the IBM-UC San Diego partnership, IBM will also join the UC San Diego Center for Microbiome Innovation as a platinum sponsor. The new center will harness artificial intelligence to help seniors live longer and healthier lives. The new collaboration is part of the IBM Cognitive Horizons Network, an international consortium of leading universities working with IBM to develop technologies needed to help fulfill the promise of artificial intelligence (AI). According to the National Institute on Aging, cognitive health—the ability to clearly think, learn and remember—is an important component of brain health. "This is a very prestigious relationship for UC San Diego, the first university on the West Coast to collaborate with the IBM Cognitive Horizons Network," said Chancellor Pradeep K. Khosla. "Our campus, one of the top 15 research universities in the world, is home to changemakers whose innovation will help advance cognitive wellness to make a difference in our lives." The collaborative research initiative will use AI to comb through massive amounts of data to enable healthier living. Funds will be used to support faculty research; trainee stipends including opportunities for UC San Diego graduate and undergraduate students; administrative support; equipment; and corporate affiliation. "We're committed to collaborating with the best minds in academia to inspire the next generation of scientists by providing access to leading-edge AI tools and expertise to solve real problems that impact human lives," said Dr. John Kelly III, IBM senior vice president, Cognitive Solutions and IBM Research. "This new collaboration with UC San Diego is the latest example of how we're executing on this AI vision -- and we are thrilled to bring our global AI research resources to Southern California to engage the wealth of local talent." The overall goals of the project are to develop and evaluate a cognitive framework for a supportive living environment that facilitates older adults to live independently longer and have a higher quality of life, and to discover and better understand the health implications of the human microbiome. During the project, the team anticipates that machine learning algorithms for sensing, understanding, modeling, personalizing and informing will be developed, with consideration to human-centered design, and testing in real world environments. (l-r) Calit2 director Larry Smarr on the Human Microbiome project, and Laurel Riek on the Healthy Aging project. This initiative will bring together the campus' top researchers in computer science, cognitive science, engineering and medicine, including psychiatry. A list of participating faculty can be found here. Over the course of five years this project plans to, for the first time, study in depth the impact that a combination of daily habits, the environment, genetics and the microbiome have on the cognition of older adults. The project expects to model the subtle changes of aging, and will deploy personalized interventions via robots that help support wellness. The ultimate goal is to enable older adults to live independently longer and have a higher quality of life. Through training experiences centered on the thematic areas, undergraduates, graduate students, postdoctoral scholars and project scientists will be positioned to gain knowledge, experience and expertise in these new and important areas of IBM advancement. Hands-on research experience with UC San Diego and IBM scientists is planned and will be complemented by jointly taught classes and seminars, as well as showcase opportunities for trainee and faculty projects.